New Zune HD-Is this the iPod Killer? Today, September 15, Microsoft will launch the latest version of the Zune media player. But although several test consumers has the new HD in hand, it would be worthless without the new 4,0 software (that also rleases today) that enables it’s great new features. Zune HD will be delivered to the pre-orders doorstep today. 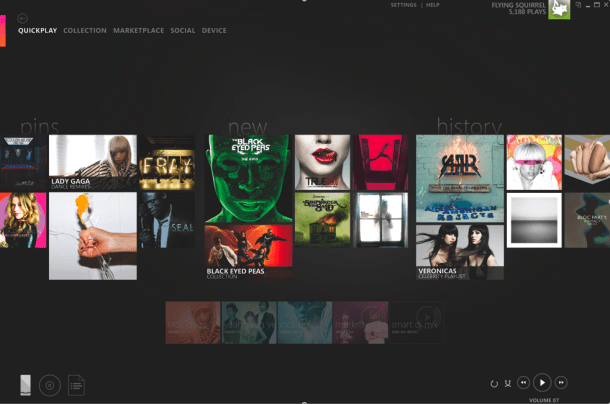 Zune HD will also play games, HD Radio, and offers music-recommendation software, called Smart DJ( How Genius of them!) with unlimited on-demand music streaming experience. One of the biggest parts of the new Zune 4.0 experience is that Microsoft is giving Zune Pass music subscribers a way to stream music over the Web by logging into their Zune.net account on any Mac or PC. Of course one still can not sync a Zune with a Mac, but at least Zune Pass users can now peruse Zune Marketplace’s huge catalog and stream music wherever and whenever they want. Whether or not this is the iPod killer remains to be seen as the shift in Apple’s focus seems to be going to smartphones with it’s 30 million iphone sales and almost 2billion app sales , adding video and voice to the nano and perhaps the addition soon of an “itablet”. For more shots of new Zune software features go to this CNET Slideshow.